Foster, A.P. (1996). 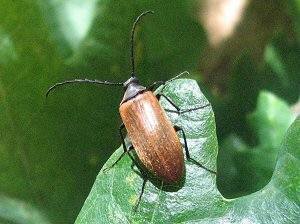 Pseudocistela ceramboides (Linnaeus) (Tenebrionidae) and other scarce saproxylic Coleoptera in Gloucestershire. The Coleopterist 4(3): 91.